Natalog swimming software is built on top of Java, a freely available programming platform developed by Oracle. Unfortunately, Java keeps tightening its security, making it harder and harder to run legitimate software downloaded from a website. 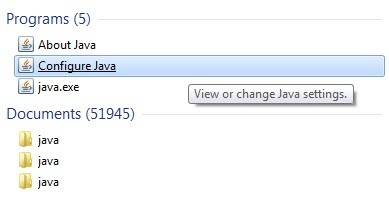 On the Start menu, find Configure Java under All Programs or by searching for "Java". 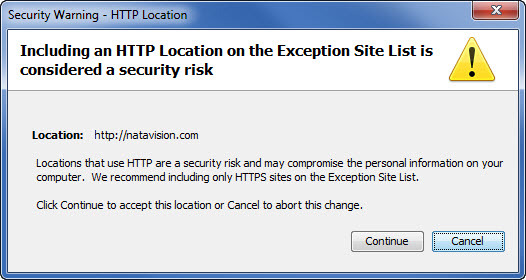 On the Security tab of the Java Control Panel, click Edit Site List... to bring up a window where you can allow Java to run programs downloaded from natavision.com. Click Continue and OK to close the windows. 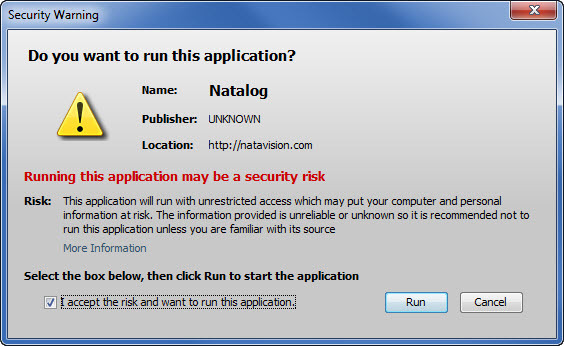 When you run Natalog again, you will get a security warning message, but you can check the box to allow Natalog to run. 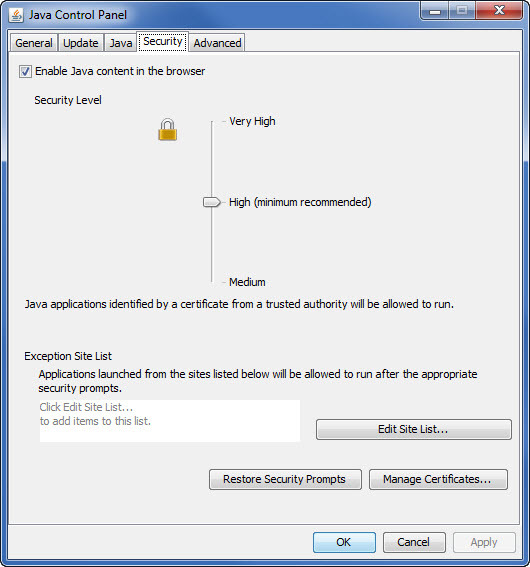 As of Java version 7u51, there is no way to avoid this security warning. When Natalog's window appears, you are ready to use Natalog to write your workouts, track your times, and manage your lineups. Rest assured that Natalog is not malicious software. It needs access to your computer because that is where it saves your swimming data. It needs access to the Internet to verify your username, to file bug reports, and to submit language translation suggestions. We value your privacy and do not share your swimming data or user information with anyone. If you have any questions or problems regarding these instructions, please contact us.